A guided walk for Young Wardens to see the starling murmurations with the RSPB. 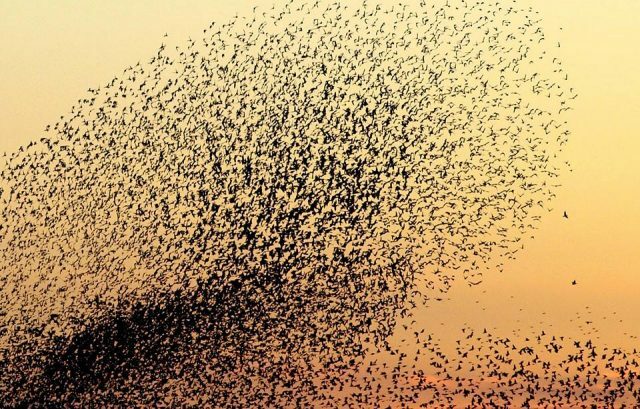 A chance to learn about and witness this wonderful natural phenomena, where millions of starlings gather to roost in the reedbeds of the Avalon Marshes on winter evenings. Young Wardens is a group for 12-17 year-old’s wishing to take part in practical conservation activities or work towards the completion of their Duke of Edinburgh Award Community hours. Places are limited. £5 per person. Organised By Natural England	Further Information Please come prepared with warm, waterproof clothing and sturdy footwear. For further information, booking and registration on the Young Wardens programme please contact julie.merrett@naturalengland.org.uk or call the natural England office on 01458 860120.